MISHAWAKA, IND., Sept. 19, 2018 – Bethel College President Gregg A. Chenoweth, Ph.D., announced today that on May 6, 2019, the institution will begin operating under a new name, Bethel University. The decision for the name change was made by Bethel’s Board of Trustees at their spring 2018 meeting. Randy Lehman, Chairman of the Board of Trustees and a Bethel graduate, says that this was not a new topic for the board; it was discussed at great length about 15 years ago. This January, the Board convened for strategic planning and to cast a vision for Bethel’s future. In the midst of that discussion, the name change topic was revisited and board members began to wonder if the time was right. Lehman also notes that, as Bethel looks to expand graduate and online programs, the institution wants to remove any barriers to understanding the depth and quality of Bethel’s academic experience that future students might encounter. In making the decision, the board took into consideration four months of research that included focus groups of alumni, current and prospective students, faculty, staff, donors and community members; conversations with other institutions who had made the change from college to university; an audit of campus branding to determine the impact of the change; and a survey to about 20,000 Bethel constituents. This research informed the unanimous decision to make the change to university, as well as the choice of the final name. Several options were considered, and Bethel University received the support of a large majority of those surveyed. Photo provided by Bethel College. A committee of Bethel leadership has been appointed to oversee all aspects of the transition. The institution’s logo and seal will be updated, but the mascot, motto and school colors will stay the same. Bethel will begin operating as Bethel University on May 6, 2019, with signage changes happening throughout the spring semester. The new marks will begin showing up this fall, as the institution builds excitement for the change through giveaways and announcements. The name change punctuates an already exciting year which has included the second largest estate gift in history, the newly renovated Kelly Auditorium, the institution’s first endowed professorship, the launch of a new website, a new student album release from HCM Records and the hiring of coaches for Bethel’s new bowling team and swimming and diving teams. This fall, the school will break ground on the Jean and Van Gates Welcome Center. Bethel also recently received a number of impressive rankings including: No.29 on the U.S. News list of the “Midwest’s Best Regional Universities;” No. 16 on the U.S. News list of “Best Undergraduate Teaching – Regional Universities Midwest;” No. 7 in the Midwest on the Washington Monthly list of “Best Bang for the Buck Colleges;” No. 66 in the nation on the Washington Monthly list of “Top Master’s Universities;” named to Money Magazine’s “Best Colleges in America” list; one of 10 Indiana colleges to be recognized as a 2018 College of Distinction, and one of 72 schools in the nation to be named a Christian College of Distinction. Additional information, including a video from Lehman, a statement from Chenoweth and a comprehensive list of Frequently Asked Questions, is available at BethelCollege.edu/University. 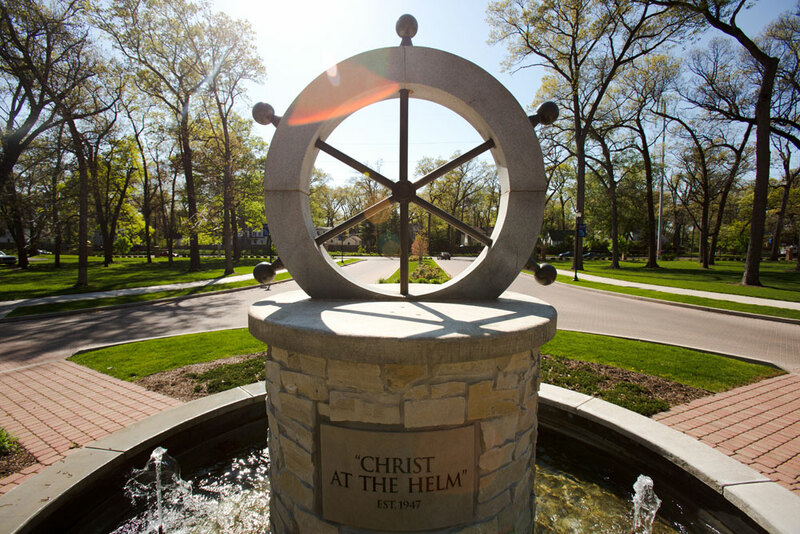 Bethel College, located in Mishawaka, Ind., is an accredited Christian college offering associate, bachelor’s and master’s degrees in more than 50 areas of study. The current enrollment of 1,500 includes students from 30 states and 20 countries, with 27.5 percent from culturally diverse backgrounds. Since 2005, Bethel has been named a top tier college by U.S. News and World Report. Bethel was ranked number seven on the 2018 list of “Best Bang for the Buck – Midwest” by Washington Monthly and as a “Best College for Your Money 2018” by Money Magazine. On May 6, 2019, the school will change its name to Bethel University. Learn more about the name transition at BethelCollege.edu/University.